The iPhone 5 has a pretty decent battery life. It will last you a few hours depending on what you run on it. 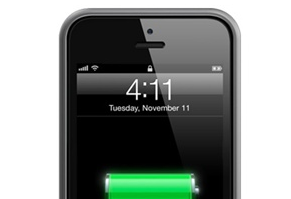 Thanks to the new Mophie Juice Pack Helium, you can now double your phone’s battery capacity. It has a 1500mAh battery inside. This juice pack happens to be compact and 13% thinner than other battery cases released by the company. 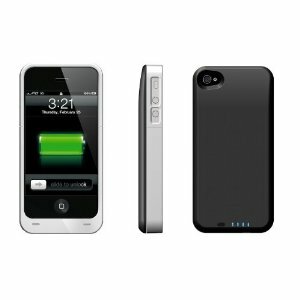 The Mophie Juice Pack Helium provides edge-to-edge protection for your iPhone 5. You can charge your phone and the juice pack together with the included micro-USB cable. The LED indicator shows you battery levels before you head out. Overall, this juice pack offers up to 6 hours of additional talk time on 3G and 7 extra hours of operation on WiFi. The Dark Metallic and Silver versions ship on Feb 14th and beginning of March respectively. Speaking of new products, Apple may be planning to bring Siri to Macs. A recent job posting suggests that Siri could be bundled with the next version of OS X. Apple is simply looking for a Siri UI Engineer who has a good understanding of Mac OS X. Apple always had huge plans for Siri. We have heard rumors about Siri being a part of Apple’s TV set when that is released to the market. We should be hearing about the latest OS X update and its features in a couple of months.